Anthony PAYNE (1536 – 1606) was Alex’s 13th Great Grandfather; the Shaw line. Payne Coat of Arms Sussex, not exact, but pretty close. Instead of these three roses, it should have three golden diamond-shaped charges, with diamond shaped holes. 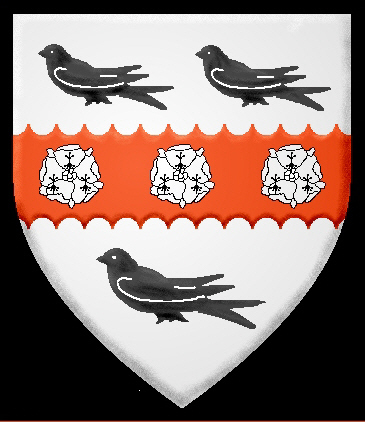 It’s also missing a bordure engrailed of the second, charged with fourteen bezants. Thomas Paine, was bapt. at St. Mary’s Bury, 16 Jan 1568, but was not named in his father’s will, executed Feb 16, 1606, and hence the conclusion that he had died without issue. 3. William PAYNE (See his page) I have been told that it has been proven that William Paine of Lavenham was not the son of Anthony Paine of Nowton in both the 1915 Register article as well as the 1925 Register article on the family. The William son of Antony married Elizabeth Sparrow and in 1612 they had only one child, a daughter Ann. http://miller-aanderson.blogspot.com/2011/07/william-payne-1565-1648.html The Visitation of Suffolke, Volume 2 By William Harvey, England. This entry was posted in Line - Shaw and tagged 15th Generation. Bookmark the permalink. I am related to William Payne sr. My great great grand father is Alfred fletcher Payne..his father is henry Allie Payne..his father was William Payne..etc. etc. 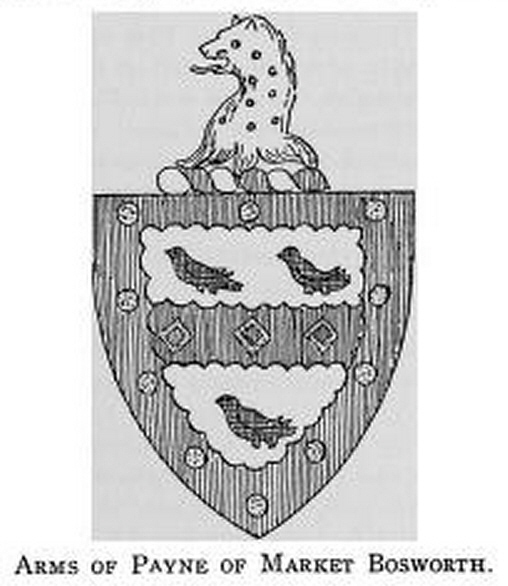 I thought that it has been proven that William Paine of Lavenham was not the son of Anthony Paine of Nowton in both the 1915 Register article as well as the 1925 Register article on the family. The William son of Antony married Elizabeth Sparrow and in 1612 they had only one child, a daughter Ann.